Selecting the best laundry room floor is a necessity in today's world. Just as with the rest of the house, the laundry room needs to be an appealing and welcoming place to spend time. But finding the right flooring that's visually appealing, durable and moisture resistant is a necessity, especially in the laundry room. In this article, we're going to explore some of the flooring options for your laundry room, and we'll tell you which ones we recommend and which ones to avoid. From heavy appliances and dusty sports equipment to utility sink splashes and muddy boots, your laundry room floor is bound to take a serious beating. Not to mention the day-to-day foot traffic, grime and normal wear. If you're preparing to remodel your laundry room, you should seriously consider replacing the floor as well. There are many types of flooring materials available today that not only resist water, but also stand up to wear and tear. Thus helping to maintain your floor in tip-top shape and prevent a disaster should your laundry room flood. Check out this post for things you can do to prevent your washer from flooding. 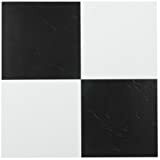 Since the laundry room is frequently a high traffic area, especially for families that have loads and loads of laundry to be done every day, it only makes sense to select flooring that'll stand up to daily abuse from piles of wet laundry and heavy machines. While the laundry room isn't a room you typically show off to your guests, it's still important for the floor to have a nice, presentable appearance. In addition to the time you spend doing laundry, a sharp looking floor will help show off your fancy washer and dryer, even if your guests only see at a glance. Your laundry room is likely one of the most intensely used rooms in your home. Everything from spills from the utility sink to wet laundry thrown on the ground can potentially harm the flooring, and when a washing machine overflows it can create so much damage you may need to file an insurance claim. Selecting the right type of flooring that's capable of handling moisture can save you lot's of money and major headaches in the future. In the long run, it's worth spending a little more money up front. Although, this may not be a key factor to consider during a remodel, especially if you're hiring a contractor. The ease of installation/repair should be taken into account for the future. Like everything, laundry room floors wear over time and often need to be repaired. It may be damage from chemicals, or water, or even a tear, but whatever the cause, at some point in the future there's a good chance that you'll need to do some repairs or spot replacement. Simply said, some flooring is better suited for repairs than others. If your laundry room floor becomes damaged, you want flooring that can be easily fixed. Vinyl tile floors are a popular option among homeowners, particularly in laundry rooms, kitchens and bathrooms. They are reasonably priced and easy to maintain. If repair is necessary, each individual damaged tile can be replaced. There's a large variety of choices available that allows you to design unique patterns or a solid color. There's even designs that mimic ceramic tile or stone. Sheet vinyl floors are used extensively in both commercial and residential buildings. There are many patterns available to help give your laundry room the "look" you're trying to achieve. It's a best practice to purchase the highest quality your budget will allow. Lower quality sheet vinyl tends to be thinner and prone to bulging and/or tearing. This can be especially frustrating with heavy appliances like a washer and dryer that may need to be moved for repairs and cleaning. iDecor offers the best deals on Marmoleum Floor Coverings and Floor Care Products. IMPORTANT NOTE: Since the product is cut to your specific given sizes, a 40% restocking fee would apply to all return products. Marmoleum provides a self-sanitizing quality in the form of a bactericidal effect. USDA Certified 100% biobased content. Marmoleum is a homogeneous floor covering made primarily of natural ingredients that include linseed oil, rosin binders, wood flour, limestone, and dry pigments which are mixed and then calendared onto a natural jute backing. The shades in Marmoleum Real are built up from 2 to 5 colours that are processed together to create a marbled structure, varying from classic and bold brights to warm neutrals. Stone floors are popular, classy and available in an assortment of styles and hues. If you have the money, a stone floor can really add an elegant touch to your laundry room floor. 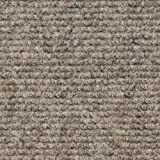 There's no question that a high quality wall-to-wall carpet can enhance the comfort and style of your home. But for a laundry room floor, it's a bad choice. If your washer leaks you'll need more than a mop to clean up the mess. In fact, you may even find yourself needing to replace the sub floor! Then there's mold and chemical stains . . . If at all possible, we highly recommend staying away from wall-to-wall carpet for your laundry room floor. However, if you don't have a choice, find an indoor/outdoor carpet that's designed to handle moisture; or better yet, use an area rug. Hardwood flooring is one of the most sought-after amenities within a home. 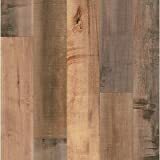 It offers a warm feel under your feet and has a natural rustic appearance that is both elegant and timeless. But with that said, it's not the best choice for your laundry room floor. The expense and maintenance can be difficult to justify for a room few will see outside of your family. However, if your heart is set on hardwood, you can purchase pre-finished boards that are designed for areas such as bathrooms where there is plenty of moisture. Ceramic tile flooring has a lot to offer for a laundry room floor. With a large selection of choices, you'll certainly be able to find a design that has the look and feel your after. 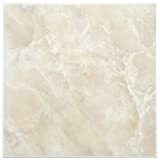 Ceramic tiles are durable and resistant to chemicals and water. However, use caution as they can be slick when wet. One thing to keep in mind, the larger the tiles the easier they are to keep clean. 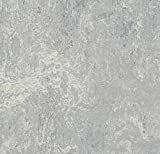 Grout tends to be a catch all for dirt build-up, although to work around this issue, you can either seal the floors or use the smallest gap possible between tiles, this will reduce the amount of grout used. Laminate flooring is a winner . . . until there's water on the floor. In most situations laminate can handle a little moisture, but if your washer ever leaks, well, let's just say, laminate is not your friend. The top surface may lull you into thinking that it can handle water, but the problem with this type of flooring is everything below the upper surface. When a laminate flooring is flooded it warps. If the water saturates the floor planks under the laminate, there's a good chance you'll end up replacing at least some of your floor boards. Adding an area rug to your laundry room can bring a sense of style to the room. You can easily change to "look" at anytime simply purchasing a new one. But beyond style, you'll also find area rugs to be very practical. They offer a soft surface to stand on, noise buffering and warmth to the room. Check out area rugs here.